Asparagus Sprengeri are available at wholesale prices & direct UK delivery. Approx. 85cm and wholesaled in Batches of 50 stems. Leatherleaf Fern, (otherwise known as Baker Fern - real name Arachniodes), is a member of the Dryopteridaceae family. 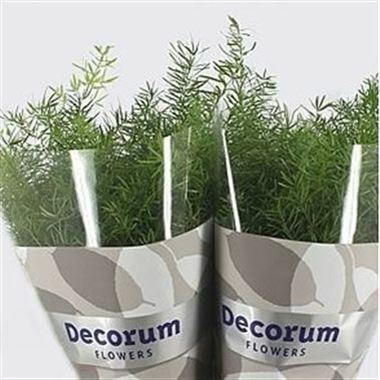 Leatherleaf is a dark green glossy fern with triangular fronds and is commonly used in floristry as a foundation for floral bouquets and flower arrangements.